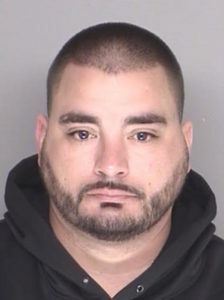 Shortly before 2 a.m. on March 4, 2017, Jonathan David Highley shot and killed Anthony Steven San Juan, 43, of Santa Maria outside Elmer’s Bar in Old Town Orcutt . During a night of drinking, Highley fought with several bar patrons before leaving the bar to grab a gun. He then shot and killed a man he mistook for one of his earlier foes. Highley fled the scene following the shooting but was taken into custody later that morning as he was leaving home with his wife and children. Sheriff deputies also arrested Highley’s wife, Mayra Perez, who was visiting family in Merced around the time of the murder. Perez drove home, did laundry, acted as a lookout and moved the murder weapon, prosecutors said. In June 2017, Perez pleaded no contest to being an accessory to murder after the fact and aiding and abetting. Perez, who was in the United States illegally, was sentenced to a year in jail and was later deported after she served her time behind bars. Last November, a Santa Barbara County jury convicted Highley of first-degree murder and assault with a firearm. Highley was sentenced on Friday in Santa Maria Superior Court. Child protective services took custody of Highley’s and Perez’s four children following the murder.